A technician is checking the cinematic of the powerful combat airbrakes of Mirage F.1 02 before a flight test. 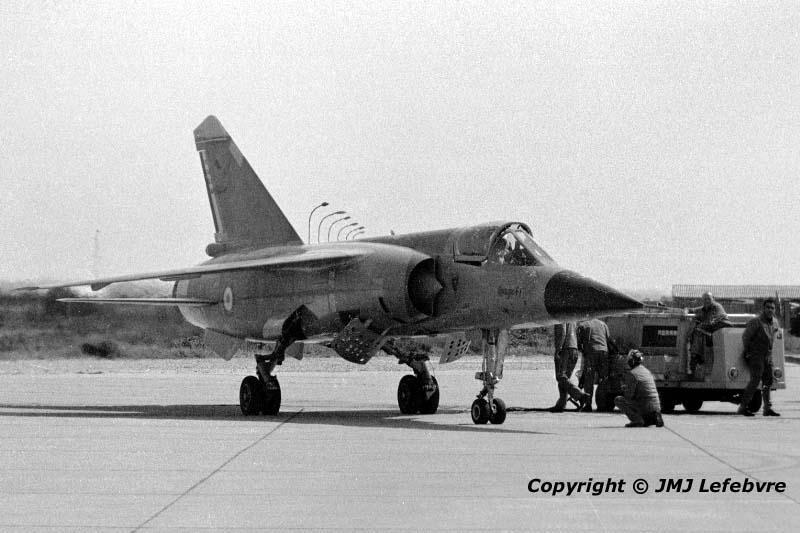 At the time, at the Istres Flight Test Center which was a State establisment to qualify the type and verify that official requirements were met, the three prototypes considered as pre-production aircraft were under intense tests, this being simplified with the Dassault Flight Test Division installed at some little hundred of meters as it was also the case for SNECMA providing the ATAR 9K-50 jet-engine. Though F1 was an excellent machine, remained then quite a number of problems to solve concerning engines and systems. Wheel brakes though intensively tested suffered minor problems with temporary grounding of machines, this some weeks after that introduction of the type in AdlA occured at the Reims based EC 2/30 Normandie Niemen to begin replacement of their old and completely exhausted Vautour II Ns.